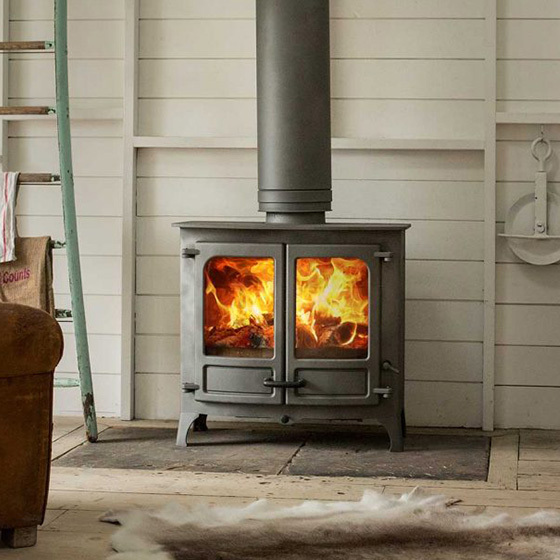 The Island 3 is the largest stove in the Island collection. 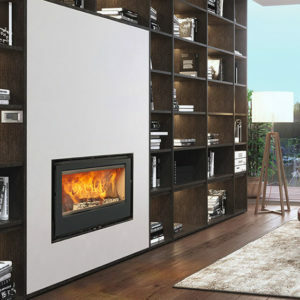 Ideal for large rooms and open plan areas this stove can take logs lengths of up to half a metre. A true wide screen experience. 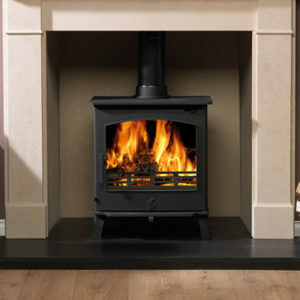 Twin door fire brick lined slow combustion multifuel stove for medium to large sized areas. 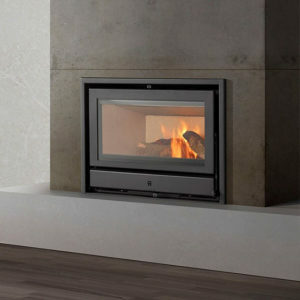 Made from the best combination of 5 and 10mm plate steel, cast iron and ceramic glass. One simple air control Quattroflow push in to burn slower, pull out to burn harder. Cool touch handle for safe and easy reloading, and cleanburn airwash system uses preheated air for combustion which ensures clean glass and reduced emissions. 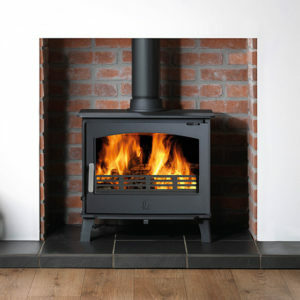 The stoves in the Island range are available in the standard matt grey / black, as well as a variety of colours (at a small additional cost).